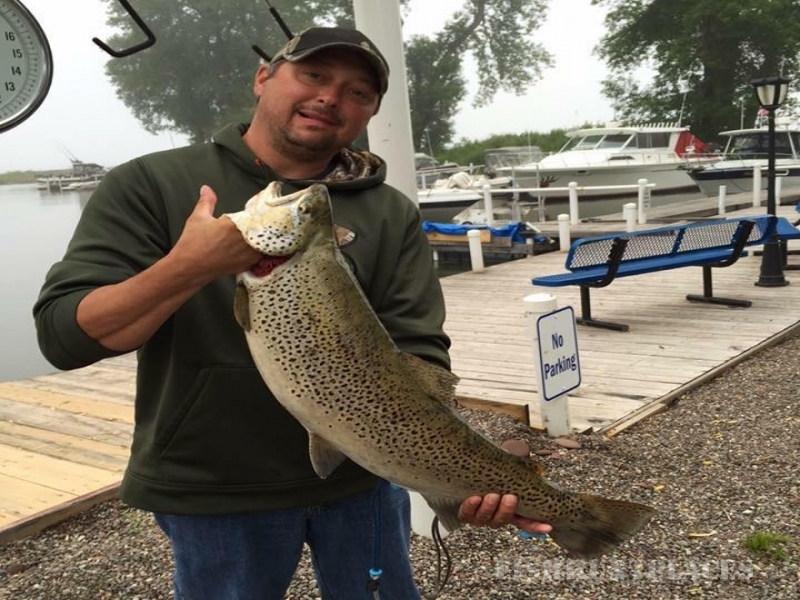 We are a Lake Ontario Charter Boat Fishing Service, providing guided Trout and Salmon Fishing Trips on the South Central area of New York's Lake Ontario, near Sodus Point, NY. 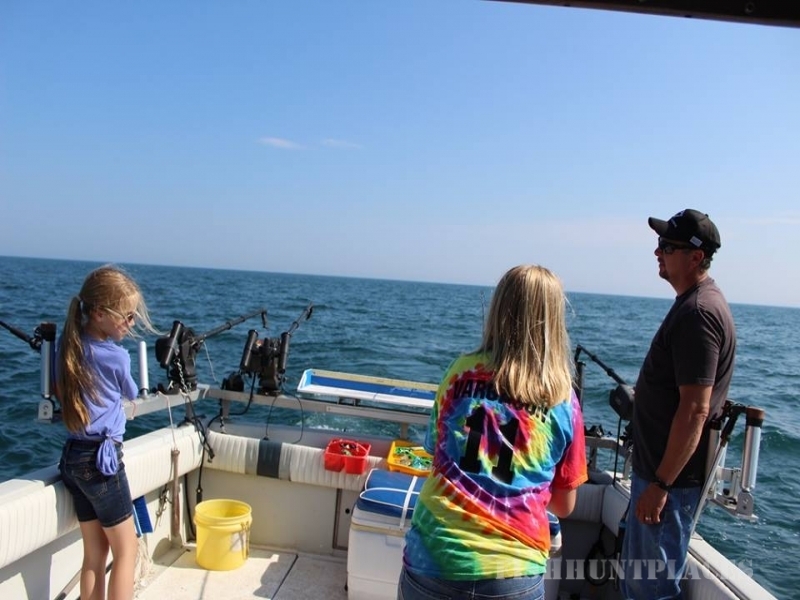 If you are going to be in the area on vacation and want a Lake Ontario fishing experience or you just want to go fishing, we offer 1/2 day (5hr) and full day (8hr) chartered fishing trips. We are available mainly on weekends, on a first come first served basis, so booking a trip is fairly easy. If you're an avid fisherman that wants to fish one of the many derbies and tournaments that are held on Lake Ontario each year we offer extended hours and discounts for multiple - consecutive day - trips. (You don't have to fish a derby to take advantage of the multi-day discount and extended hours.) Regardless of why you want to fish. 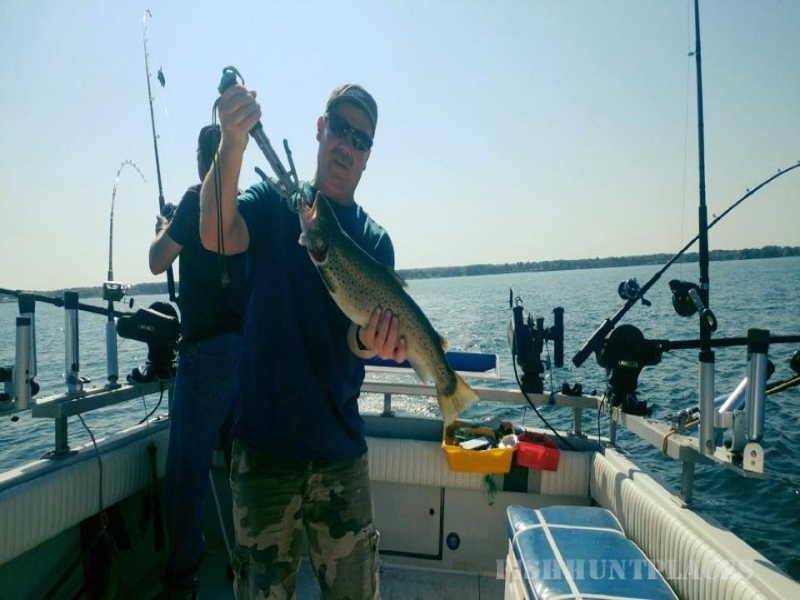 We are here with the boat, fishing equipment, and know how needed to help you experience the thrill and excitement of catching Lake Ontario's Trophy Trout and Salmon. Our goal is to provide you with a safe, enjoyable and memorable fishing experience! 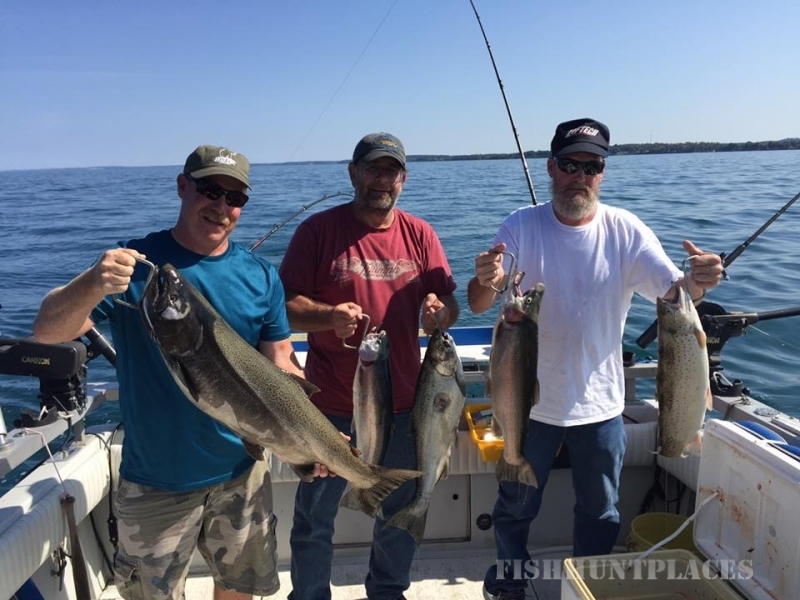 We have over 25 years of fishing experience boating and trolling the waters of Lake Ontario, and we have fished Lake Ontario's streams and rivers for Trout and Salmon since 1976. We want you to be as involved in the fishing experience as you would like to be. If you are a seasoned angler and want to be part of the crew, that's great! If you don't know what to do but would like to learn, that's no problem. We'll show you the "ropes". If you would rather just sit back and haul them in once they're hooked up, that's okay too. The choice is yours - after all, it is "your Lake Ontario Charter Fishing Trip". Our Charter boat is set up with a good selection of high quality fishing equipment and tackle. This gear is necessary to help locate, catch and boat those hard fighting Trophy Salmon and Trout that Lake Ontario has to offer. We have "up to date electronics" on board the charter boat. This helps us keep abreast of Lake Ontario's weather conditions and aid us in navigation, communications and fish location. 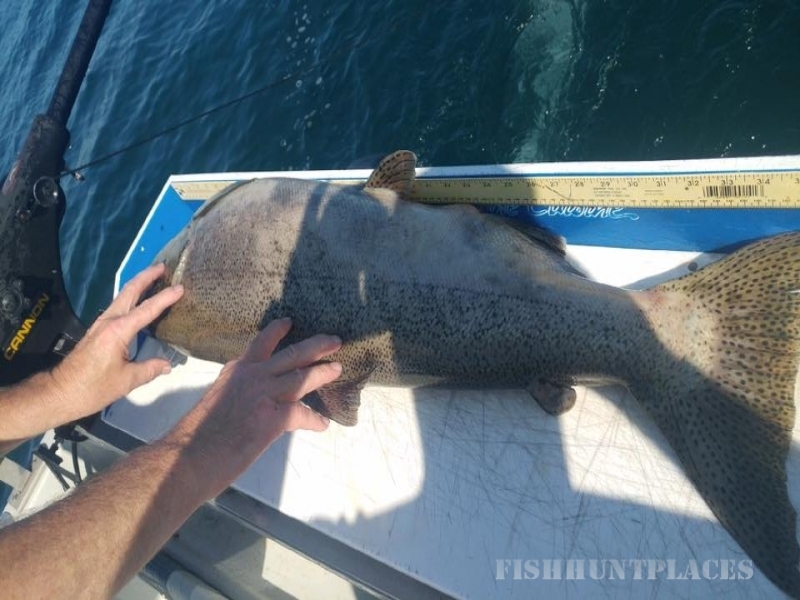 We provide charter boat fishing trips on the south central section of Lake Ontario, trolling the waters from the area east of Sodus Point, New York to the area east of Rochester, New York. Our home port is at Hughes Marina. Hughes' is in Wayne County New York, the address is 5003 Lake Road, Williamson, NY. We are about eight miles west of Sodus Bay and about two miles east of Pultneyville. 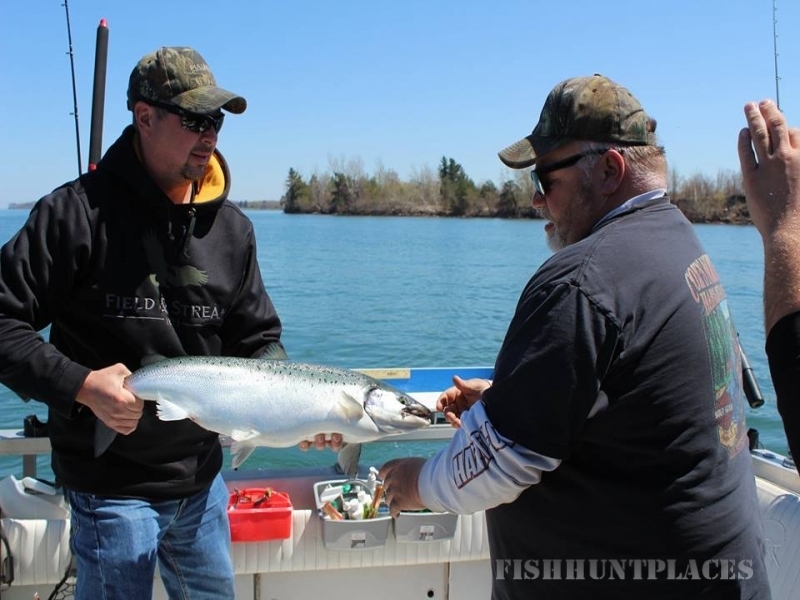 This location gives us quick, direct access to Lake Ontario's Trophy Trout and Salmon fishing. The next time you get an urge to fish for Trophy Trout or Salmon on the waters of Lake Ontario, give us a call. We will do our very best to give you a great chartered fishing experience and help you put that "big one" in the boat!